In addition to drive a No. 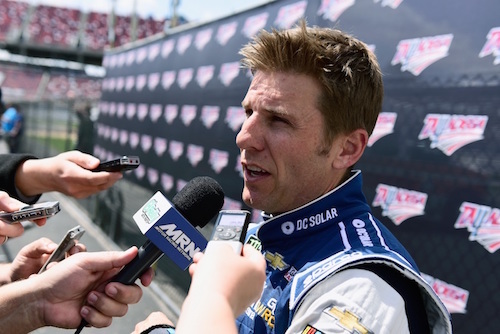 40 Spire Motorsports/Chip Ganassi Racing Chevrolet in the 2019 season-opening Daytona 500 on Feb. 17, Jamie McMurray also will drive the No. 40 in the Advance Auto Parts Clash exhibition race at Daytona (Fla.) International Speedway on Feb. 10. “I am looking forward to getting back in the car at Daytona and to have AdventHealth onboard with us for this race,” McMurray said “We have had a great relationship with everyone at AdventHealth over the last several years. It means a lot to have them partner with us on this special event. With everything that they have going on at Daytona International Speedway throughout Speedweeks, both as presenting sponsor and with their Fan Injector, I am very happy to be a part of it all”. McMurray is among 20 drivers eligible for the Clash. His eligibility comes from winning the 2010 Daytona 500. AdventHealth will be the primary sponsor on McMurray’s Clash car. McMurray has competed in the Clash 12 times, posting two best finishes of second in 2009 and 2011. McMurray was released from Chip Ganassi Racing at the end of 2018. He isn’t expected to drive a Cup car beyond Daytona. Instead, he is moving into a broadcasting role with NASCAR on FOX and an advisory role with CGR.